He’s a man now, but when I knew him, when I loved him, he was a boy. We were teenagers, in the late 1980s, in a suburban town in Westchester, NY. He was good-natured and darkly mischievous, politically active in a parent-friendly way, with a goofy sense of humor and a talent with words. 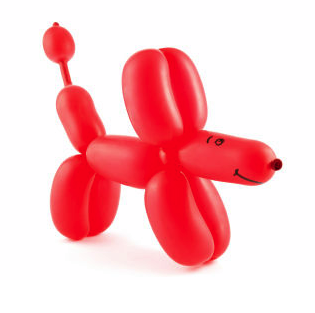 He wrote howling, non-rhyming poems and knew how to make balloon animals. He tangled his hands in my hair when we kissed. Let’s call him LL. I was dramatic and intense, filled with longing, powerful and terrified as only a teenage girl can be. I was beautiful but didn’t know it, and dyed my black hair red. I drove a 1975 forest green Coupe deVille, smoked Parliaments, and worshiped Holden Caulfield. I collected original Broadway cast recordings and knew all the songs from Evita, West Side Story and Gypsy. I had a thing for singer/songwriters from the ‘70s and kept a journal. There was a Deadhead sticker on my Cadillac. In the fall of 1986, I was a high school senior, LL was a junior, and my boyfriend had just left for college. I was lonesome and restless, and LL was intriguing and close at hand. Before the leaves were off the trees, we were making out with a vengeance in the TV room of his parents’ house. I had intended for him to fill my time between visits from the boyfriend. Instead, I fell utterly, ecstatically, in love with him. But I am speaking now of the boy, of the spring I was 18. I am speaking of the rushing river filled with round stones that shrank to a thirsty trickle as that spring became summer and summer grew cold, and most of all of the bridge that crossed it in a most ordinary way, made of rough wood, never intended to be beautiful. I could tell you how to reach this place, offer directions that would lead you from the Taconic Parkway to U.S. Route 202, tell you where to make the right hand turn that leads you into the park. I could explain the precise location of the tennis courts and the jungle gym, describe the running path you follow, and the smaller footpath that delicately splits from it. You walk the footpath to reach the place, and on the first day he brought me there it was tentative, not yet full of summer-lush green and warm earth, not yet filled with hot air so moist it made me weep, not yet perfumed with lilacs and wildflowers and honey and something else too, the low brown aroma of animals and the yellow smell of pollen, scented so thickly my head would spin and I would want to run and stay at the same time and in trying to do both did neither, and instead would sit cross-legged in the center of that bridge and cover my face with my cool hands and listen to the insects roar, the droning and buzzing so loud and claustrophobic I felt as if I were shimmering with it, shimmering in tune and rhythm with that place, shimmering as if I had green and gold dappled wings. I could tell you how to find that place, and you could pick your way among the rushes and weeds along the footpath and emerge at the rough bridge that crosses the river, and yet I cannot truly take you there, not even if I took your hand and led you to the center of the bridge, not even if I gently placed my index finger under your vulnerable chin and tilted your head back, lifted your gaze to show you the two trees whose branches reach across, high above, embracing from either bank. I cannot truly take you there because though I still know the location as surely as I know the shape of my own pale body, I lost the place when I lost the boy who brought me there, to its heat and iridescence. But I am speaking now of the time when I did belong to this place, when with a touch I could be turned languid gold, a creature that not only knew how to fly, but also never doubted her right to flight. He wasn’t my first love, or my first lover—although I was his, which gave me a shivering, territorial thrill. We were in and out of each other’s lives for years, sometimes while I was unencumbered, and sometimes while I was involved with another man. For as many times as I swore I was done with him, I’d fall into his arms when he appeared. The end came in two parts. Part 1: I got married in July of 1993, and cheated on my husband with LL in April of 1994. The marriage was a mistake. I knew it, but I refused to leave. Part 2: The marriage fell apart, as it was destined to, in 1998. LL emailed to say he’d heard from a mutual friend, and he hoped I was all right. He wrote of his wonderful wife, and his splendid marriage, and his growing career. Knowing him as I did, I understood exactly what he meant. He wouldn’t be back. We never spoke again. And even though he wasn’t mine, I felt the loss of him acutely. I grieved losing the possibility of him for a very long time. Much longer than I should have. I did the things you do, after a divorce and heartbreak—therapy, the gym, dating, travel, exfoliation. I didn’t permanently turn into Brooklyn’s version of Miss Havisham, wearing a tattered flannel shirt and listening to Harry Chapin’s Sequel on repeat until I passed out drunk (that only happened a few times). It was never my ex-husband I ached for. Not once. In the summer of 2000 I bought camping equipment from a writer named Jonathan, who was making rent working at Eastern Mountain Sports. He had hazel eyes and a hiker’s muscular legs, and I was so taken with him I heard the Pixies singing Here Comes Your Man in my head while he assembled my new tent. We got married in 2004, and I gave birth to our daughter a year later. Once, over a bottle of wine, a girlfriend and I got to talking of lost love, and I told her about LL. She asked if I had looked for him online. I emphatically assured her I had not. I didn’t want to know anything about him, what I imagined to be his celebrated life and his many robust children and his faithful wife. But, I admitted, there was one thing I hoped. I hoped he thought of me. I hoped he pined. Just a little. I never did give in to Google’s temptations, but I thought about him. It was hard not to, once Gen X discovered Facebook. People I thought long gone started tumbling back into my life. First came all the kids from drama club, with their charm and sweetness; then the kids from performing arts summer camp, with their many accomplishments; then the kids from college, with their productive lives; and then the kids I didn’t actually get along with but who had developed affection for all the people they used to torture. And then, when I had truly stopped expecting it, came LL. The message was brief, written in all lowercase letters. I immediately thrust my BlackBerry in Jonathan’s direction and choked out, “Old boyfriend! Boyfriend on facebook!” I dropped onto the couch and studied the message intently. All lowercase, like an ee cummings poem. Was this on purpose? Did he remember how much I loved ee cummings? He wrote, in part, “…still not good at…this. you know.” I do know. Of course I know. And I am gone again, just seeing his name. Driving barefoot on a hot summer day. The smell of lilacs and fresh cut grass. Cat Stevens on the stereo. A gentle bite on the back of my neck. I glared at him, or tried to. He looked back at me, really looked at me, without judgement, without fear, the way he always has. Jon knows this story, of course. I told him this story years ago. “You know what?” I said. Someone once said there are only two love stories—Romeo & Juliet and Antony & Cleopatra. The first is wildness, urgency and inevitable devastation. The second is a match of equals. It is wisdom’s embrace, an understanding between already-broken and healed hearts, sexual ferocity that’s forged in letting go. LL is my Romeo. And Romeo, with his fevered desire and hungry poetry, dies young. Years later, when you have silver in your black hair, it’s impossible to casually call him friend. Knowing he reached for me again tears me up in ways I can’t begin to understand or explain. It makes me lonely, specifically lonely, for him. For his hands, and the taste of salt in the curve of his neck, for his voice in the dark. And the truth is, reaching back feels natural, as natural as entwined tree branches over a quiet bridge. I won’t, though. I can’t. Because my life now is a good thing, made whole by promises kept and the comforts of home. So I’m not going to write back. I’m not going to click, “Add as Friend.” But I confess: I’m never going to delete his message, either.